 Did you attend WCEAM-AGIC 2010 Congress? You can download the presentations, using your password. The fifth World Congress on Engineering Asset Management (WCEAM-AGIC 2010) was held in Brisbane Queensland, Australia from 25-27 October 2010, incorporating the 2010 Annual Conference of the Australian Green Infrastructure Council (AGIC). The Australian Green Infrastructure Council (AGIC) is an emerging not for profit incorporated Australian industry association, formed by a group of industry professionals from engineering, environmental, planning, legal, financial and construction backgrounds working in both private and public organisations related to infrastructure. AGIC is developing the world’s first sustainability rating and award scheme for infrastructure with the aim to transform the infrastructure industry in relation to sustainability practices. AGIC will bring practical case studies of sustainability in infrastructure to the congress through a single stream to be held on 26 October. Engineering Asset Management is concerned with determining optimum service levels for assets while minimising risks, costs and enhancing natural and social capital. Infrastructure and industrial assets, if not maintained properly will degrade and often degradation starts as structural fatigue which leads to fracture and eventual failure. Unexpected downtime and stoppages no doubt cost asset owners dearly. Combining the AGIC meeting with WCEAM will provide significant synergies in the reporting of research endeavours and the various communities of practice in these vital areas. It will provide the WCEAM and AGIC communities with valuable insights into the failure mechanisms (diagnostics) and prognostics of asset health as well as the mechanisms to measure sustainability outcomes. Traditional asset management will also gain insights into the new challenges that face infrastructure owners in a carbon constrained world through the AGIC and the “Lifecycle & Sustainability considerations of Physical Assets” sessions at the congress. Recognised academics and researchers presented their state-of-the-art achievements and findings and leading industries and service providers showcased applications and state-of-the-art technologies.